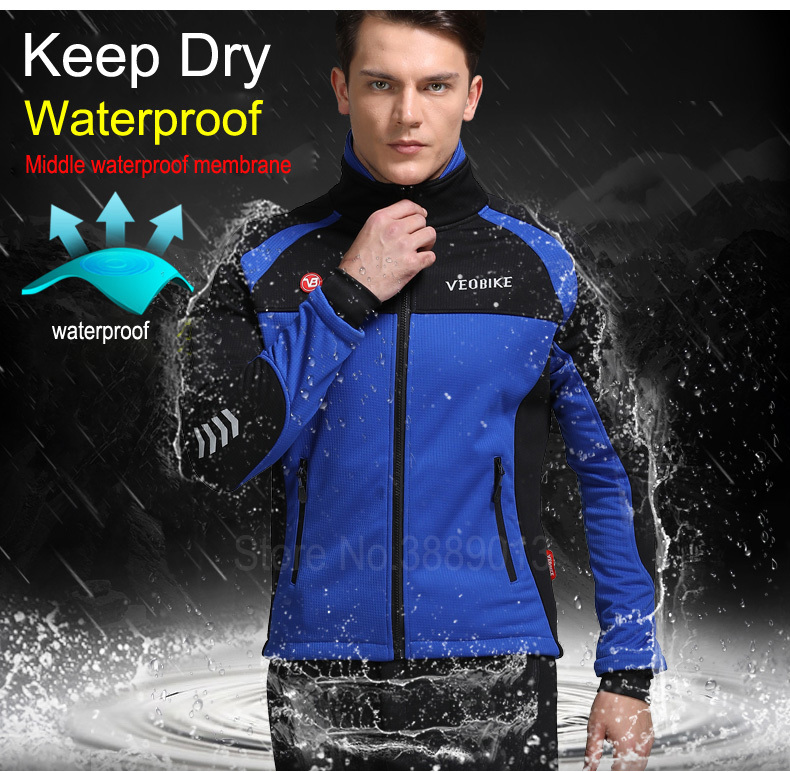 Can withstand cold tempertures of -10deg. 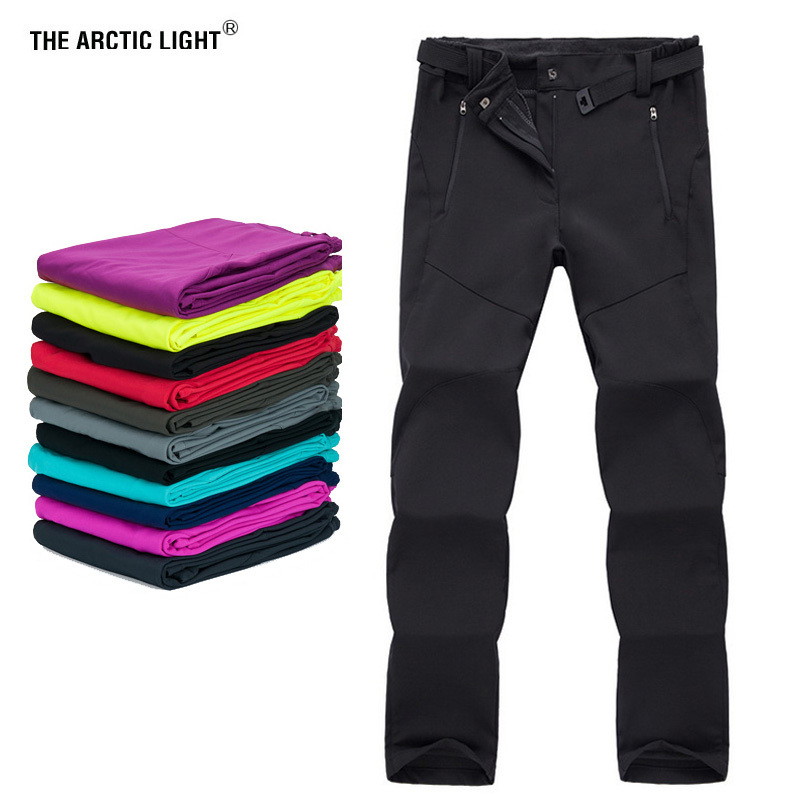 1. the pants don\'t comes with pads. 1. 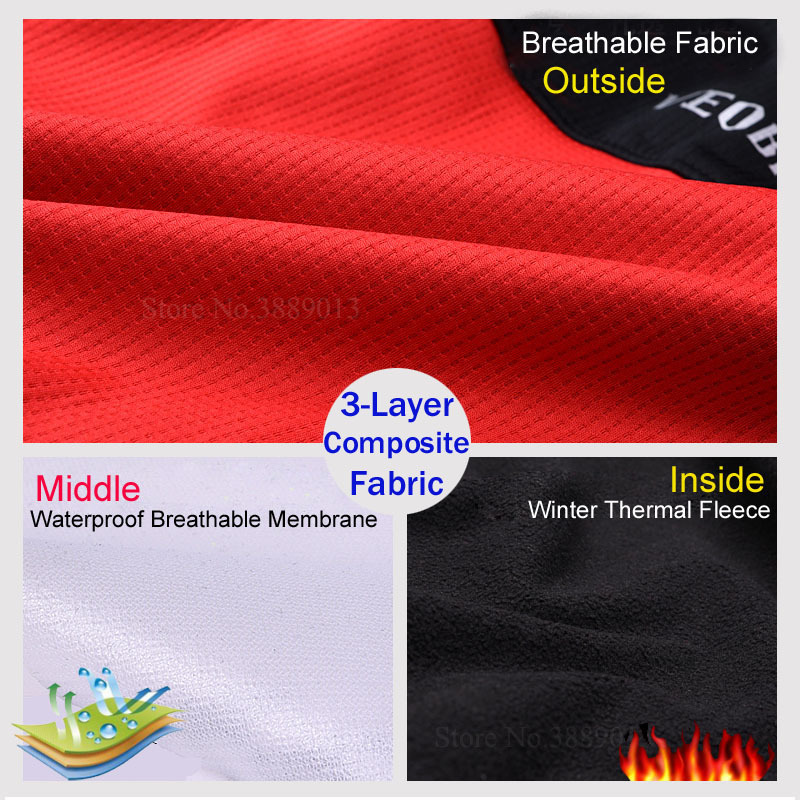 High-density windproof fabric: use 3-layer composite fabric, Outer breathable mesh / Middle waterproof membrane / inside thermal fleece. 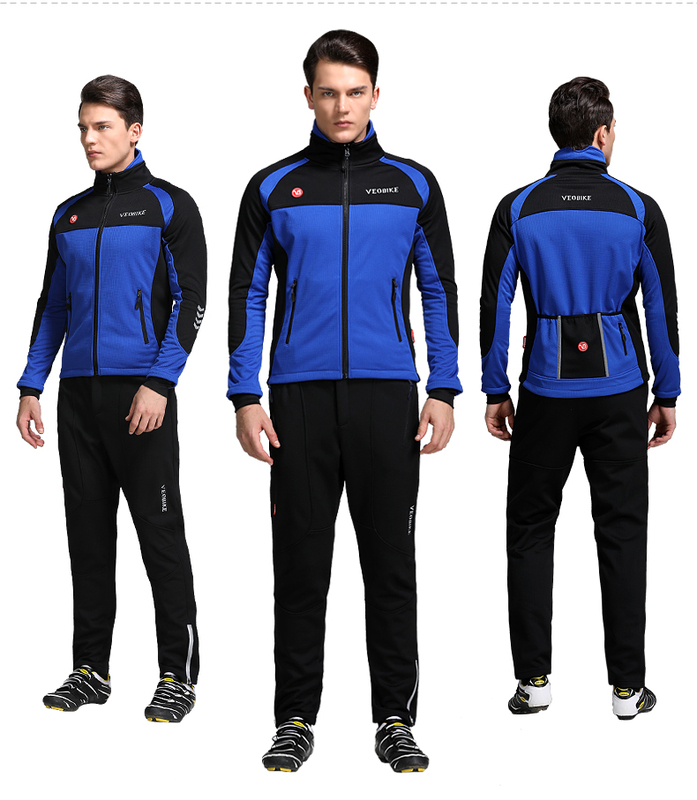 Can withstand cold tempertures of -10deg. 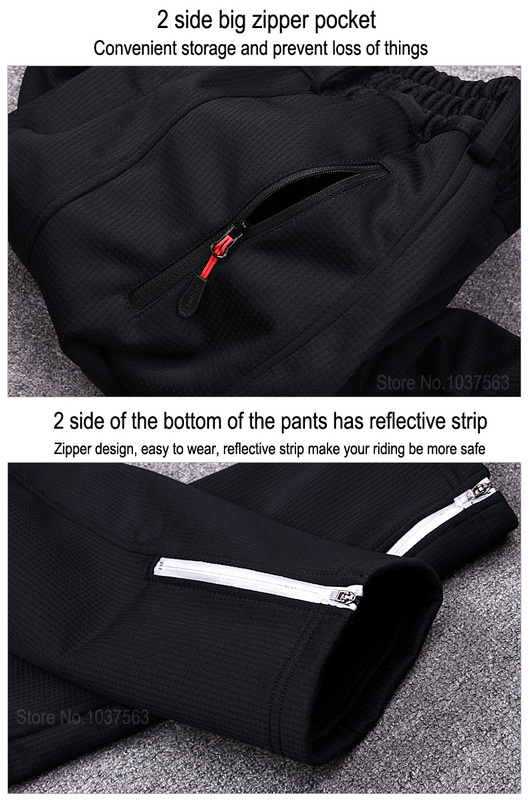 2. jersey back has 3 pockets and 1 zipper small pocket, and 2 pockets in the front, the pants also have 2 zipper pockets, waterproof design, can put money, watch,ect. 4. 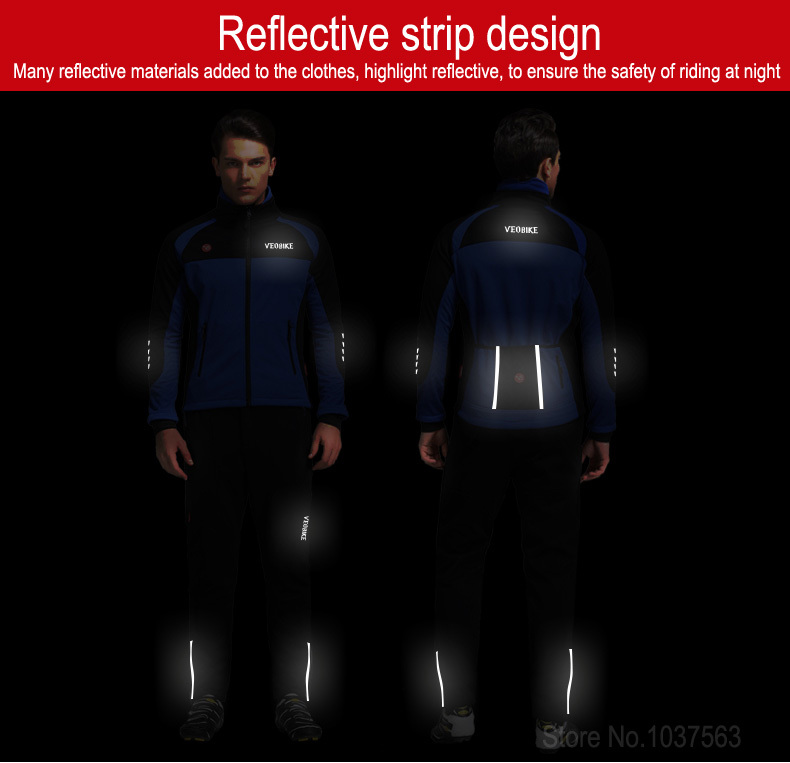 Reflective strip: Many reflective materials added to the clothes, highlight reflective, to ensure the safety of riding at night. 6. 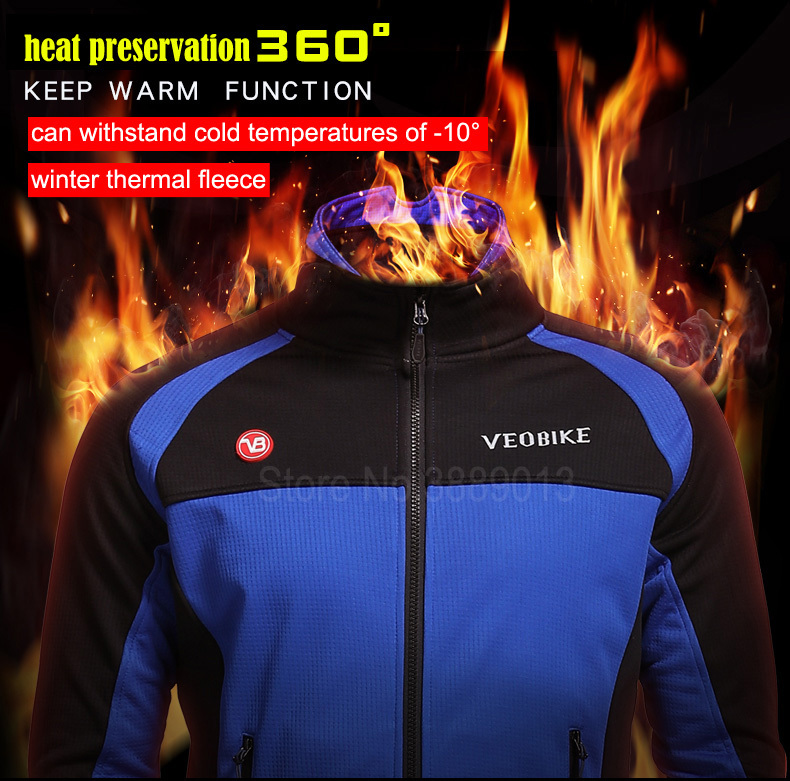 Higher collar: Resist cold winds, lock in temperature,keep warm. 7. 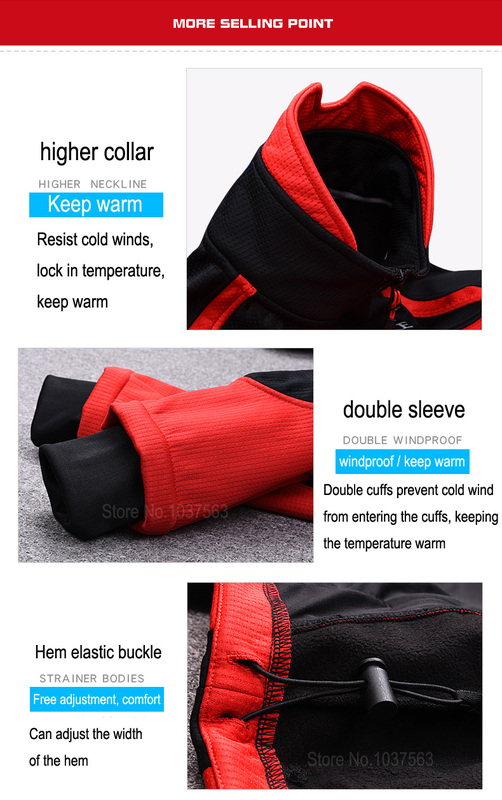 Double sleeve: Double cuffs prevent cold wind from entering the cuffs, keeping the temperature warm. 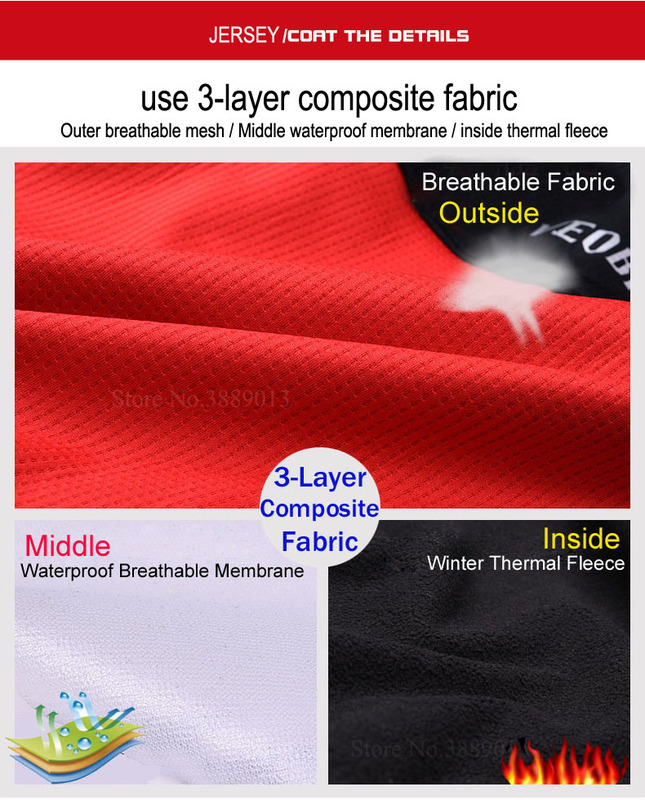 8. we can mix the size for you, but need you to leave message when you place order, Like " jerseys XXL + pants XL ". 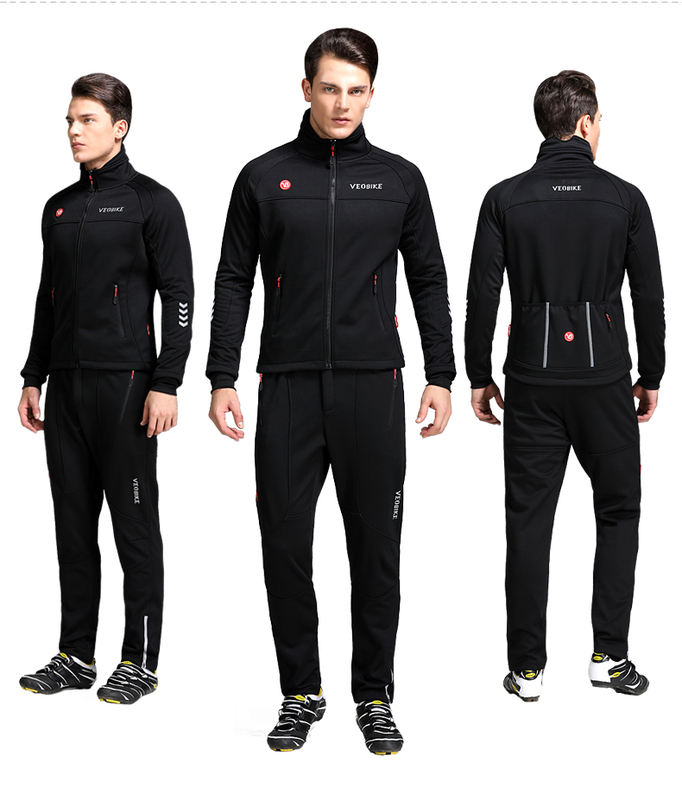 waterproof, windproof, keep warm, highlight reflective, winter thermal fleece. 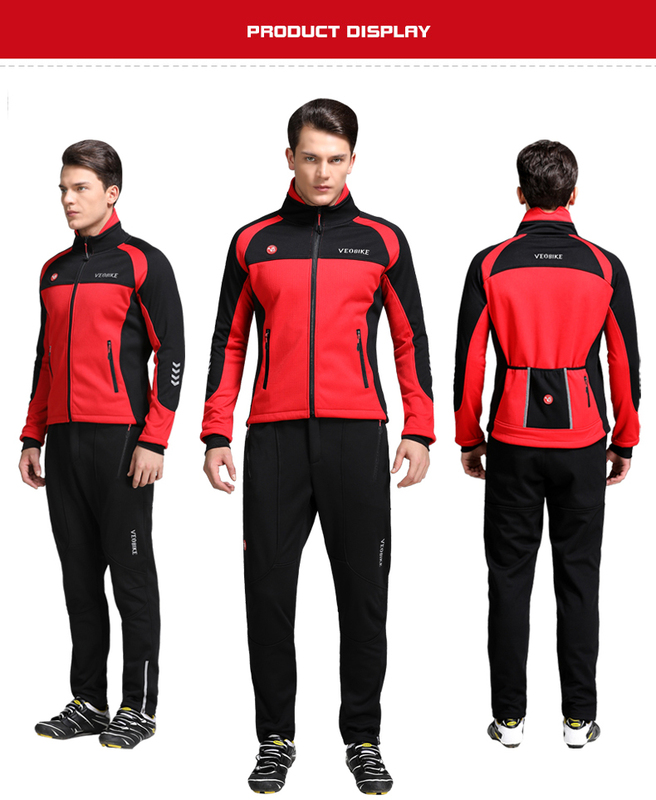 1,VEOBIKE is a professional outdoor sports factory,Focus on cycling for more than 10 years. 2,VEOBIKE in accordance with international standards of production. 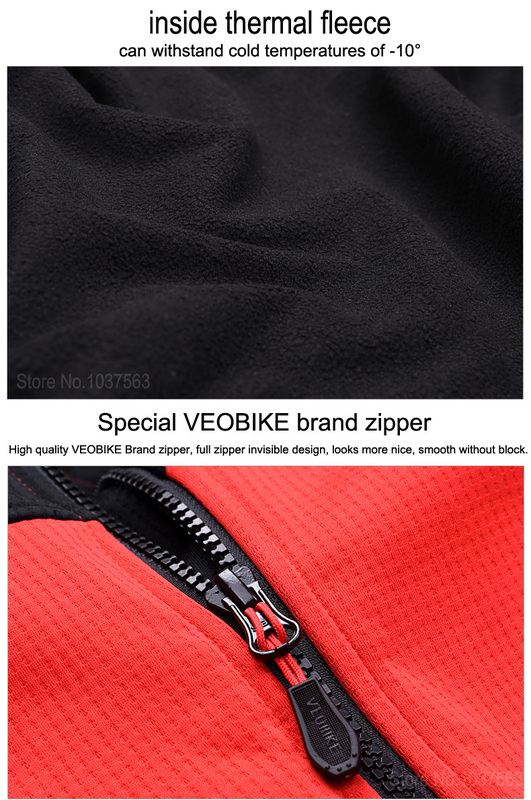 3,VEOBIKE has long been registered international brands, and popular in Spain, France and many other European countries. Why VEOBIKE\'s price is expensive than others. Note: Manual measurement, there may be 1-3cm error. 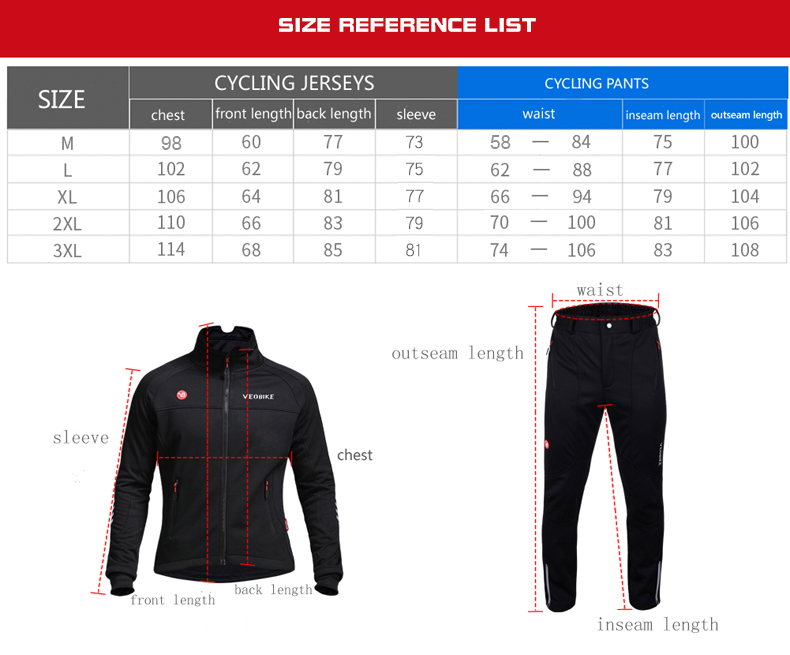 You can refer to this below trying results when you choose size. 1.Most items we will ship within 7 business days after the full payment has been confirmed. 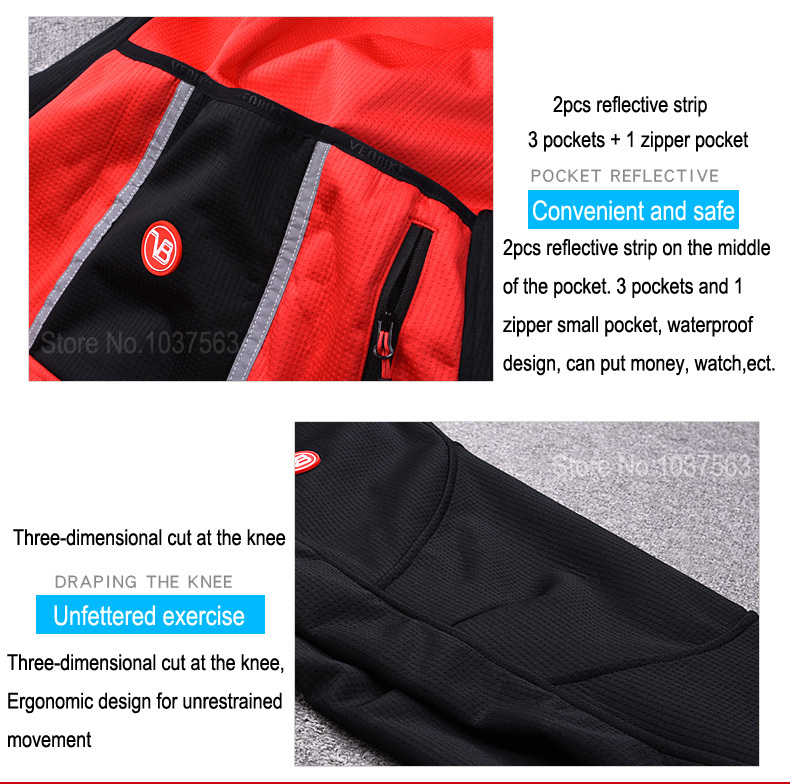 Generally, the shipping time is between7-60 days. But sometimes it is depends on different custom solving problem. 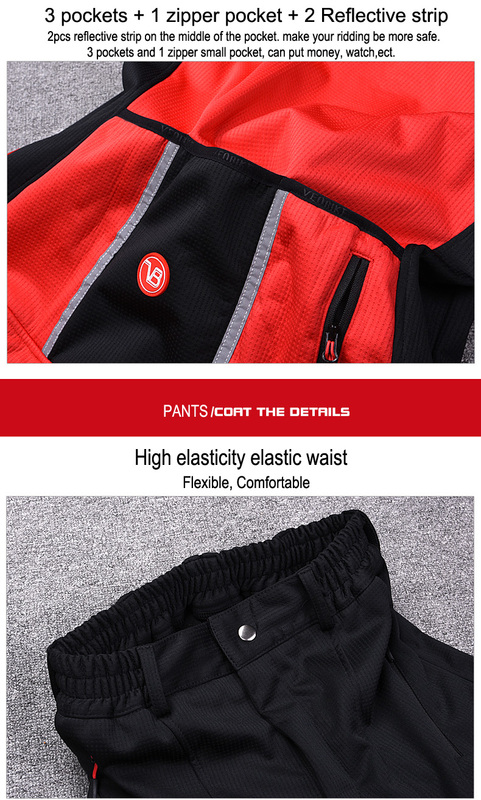 Most time we will shipping by China Post Air Mail, Shipping via EMS,DHL TNT or FEDex are also avaliable if your order is over 2kg. please wait with patience and please do not open dispute. Thanks a lot for your understanding.